The distribution of the Bradley surname in the late nineteenth century was most common in the north, especially Yorkshire and Lancashire, although there were some examples in Kent and Surrey. However, there is a Bradley Farm lying below the slopes of Ranmore Common, and in the eighteenth century it passed to the Denbies Estate. 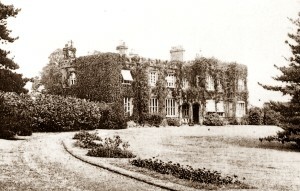 It is difficult to gauge whether Ernest Bradley’s family is connected to the farm in any way, since Bradley is not a particularly unusual surname. Certainly, his immediate ancestors spring up slightly farther west in Clandon, West Horsley and Ockham. Ernest’s father, George Bradley, was born on 15th June 1837 at East Clandon, Surrey (between Dorking and Guildford), son of William and Elizabeth (nee Paul). His non-Conformist birth record is particularly interesting because later that year all births had to be registered centrally (as happened when his younger brother Benjamin Bradley was born two years later). In 1851 Benjamin and George, the youngest Bradley siblings, are still living with their parents in Clandon, working as farm labourers. On 7th October 1860, while living at Ripley, George married Ann Gregory in Frensham Church. The census the following year finds him in West Horsley, but Ann is staying with an aunt and uncle back in Frensham, along with her infant daughter Eliza. George and Ann went on to produce six more children, the youngest being Ernest John of the Ranmore War Memorial. By 1871 George and Ann had moved their family to Bury Hill Farm Lodge, Boar Hill Road, on the Westcott side of Dorking, and shortly afterwards they transferred to Pigden Farm where George became a cowman on the Denbies Estate. (The Sketch Map shows the approximate position of Pigden and the other houses mentioned below.) His brother Benjamin was working as Under Bailiff to the Estate, probably how George obtained his job. The last four of George and Ann’s children were baptised at St Barnabas, including Ernest of the War Memorial. 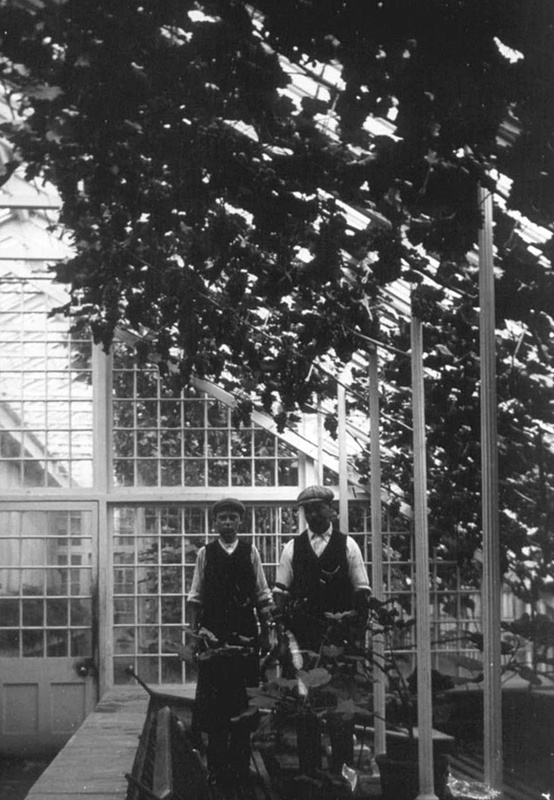 In 1901 Ann and George, now a “stockman on a farm”, are still at Pigden Farm with their eldest son William Thomas. Born at Rowledge, Surrey, Ernest’s mother was baptised 2nd December 1838 at St Mary’s Frensham. Ann was the daughter of Elizabeth Gregory and almost certainly of John King, whose name is on her marriage certificate as her father. 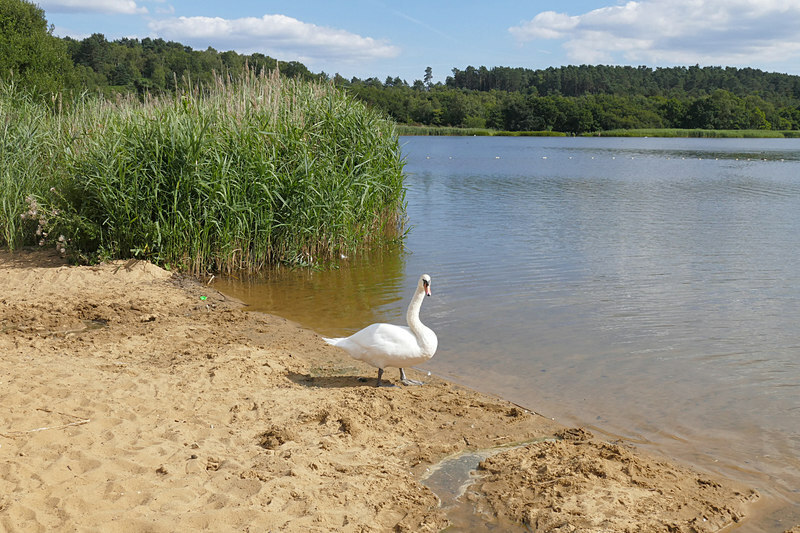 It is unclear when (or if) Elizabeth and John married, but Ann, when still a child, was living with John’s parents (described as her grandparents) in Frensham in the 1841 and 1851 censuses. 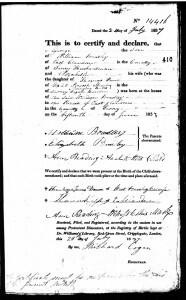 Nothing much more is known about Ann until she married George Bradley on 7th October, 1860, after which she appears with him on the censuses and on the baptism records of her seven children, all of whom survived to adulthood. In old age Ann opened the lodge gates at Denbies Lodge, Westcott. She is probably the “Mrs Anne Bradley” who in WW1 served in Lady Ashcombe’s Needlework Working Party as a VAD (Voluntary Aid Detachment). She died a few years after her husband George and was buried next to him in St Barnabas churchyard on 20th January 1925 (Grave C5). Ernest’s older siblings were Elizabeth Ann (1860), Georgina (1863), Mary Anne (1869), William Thomas (1872), George (1875) and Albert (1878). Most of his sisters went into service until they married, the brothers worked on farm or garden, except for Albert who became a carman in London. 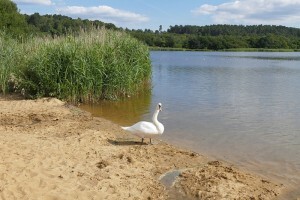 The siblings were scattered over the south-east, with only George appearing to spend most of his life on Ranmore Common. 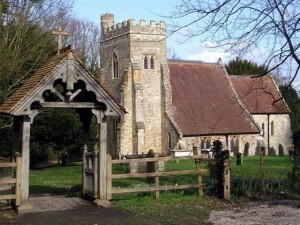 The eldest Bradley child was baptised as Eliza Anne at St Mary’s West Horsley, Surrey. Aged a few months old, In the 1861 census she and her mother Ann were living at Frensham with her mother’s uncle and aunt while her father George is at West Horsley. In 1881 Eliza was working as a housemaid among many other servants in the household of a corn factor, John Edward Bovill of Sondes Place, Dorking. Ten years later, on 31st March 1891, she married at St Barnabas Ranmore Common. Her bridegroom was James Fletcher (born Cookham, Berkshire), a butler at the White House, Woodcote near Wallingford. He had previously been a footman in London, then by 1901 he was a coachman and by 1911 a gardener in Frensham. Elizabeth Ann and James had five children, four surviving childhood. In the autumn of 1876 Georgina was withdrawn from school, “having gone to the cottage”, aka The Dispensary, to be trained for domestic service. By 1881 she is kitchenmaid at Bodiam Vicarage. The vicar, Charles Parker, was married to Mary Cubitt, daughter of the late Thomas, no doubt how Georgina obtained the job. By 1891 she is cook in another clerical household, in Sussex at Ashurst, near Steyning. Which is probably where she met her husband Harry Lucas, a farm labourer born Ashurst, son of a farmer. 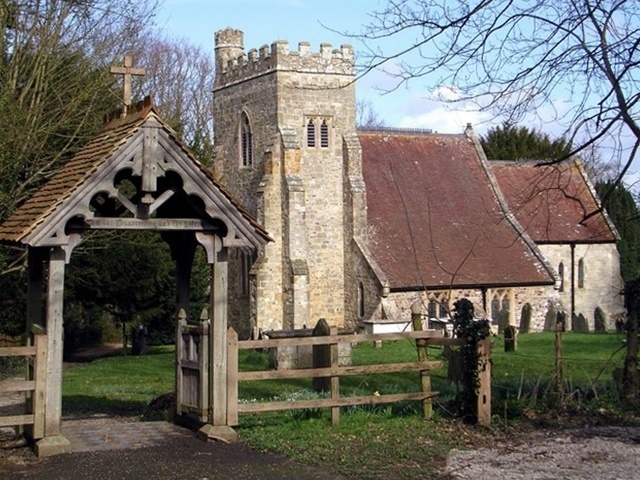 Georgina and Harry were married at St Barnabas Ranmore Common on 14th February, 1893. By 1901, until at least 1911 the couple were still living in Sussex, at Shermanbury, near Henfield. They had three children, all of whom survived infancy. By the time the third Bradley child was born on 19th September 1869 (yet another daughter), the family had moved to Westcott, so Mary Ann was baptised on 14th November 1869 in Holy Trinity Church. After her family moved to Ranmore, she was admitted to St Barnabas School on 13th April, 1874. (There are references to a “Mary Bradley” in the school logbook, but this is more likely to be her cousin Mary Maria, as this Bradley girl seems always to be called Mary Ann.) In 1880 Mary Ann received a 1st class certificate in religious knowledge (and half a crown!) as a result of the Diocesan Inspection, and she continued to receive certificates. She achieved Standard VI before she left school in Oct 1882, but a “Mary Anne Bradley, formerly Monitor” took over in 1884 when the assistant teacher Eliza Mockford went for examination to Chichester. Presumably Mary Ann returned to the school for this task, but it is not certain what she did before or after that time. She witnessed the marriages of her two elder sisters in 1891 and 1893, and on 4th February 1899 she herself married, to Frank Wood (a gardener from Limpsfield), son of another Frank (foreman in a brick works). By 1911 she and Frank had one child (William John Frank Wood), but it is not certain what happened to the family after that. The Bradleys’ first son was born in 1872, after twelve years of marriage, and they named him William Thomas. The family are now living on Ranmore Common, so young William Thomas was baptised at St Barnabas on 24th July, 1872. In May 1876, “aged three years 10 months”, he was admitted to the school. He is probably the “Thomas Bradley” absent a couple of times through illness. Assuming he is “Thomas Bradley”, he received religious knowledge certificates from the Diocesan Inspections. 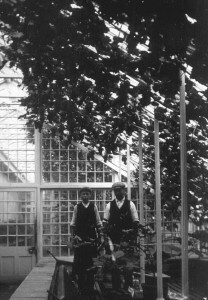 Despite being one of three pupils who failed in two subjects, Thomas Bradley reached Standard V before he left school (no leaving date in the Register), but by 1891 he is living at home at Pigden Farm, working as a garden labourer, no doubt in Denbies Gardens with their extensive glasshouses. In 1901 aged 28 William Thomas is the only of the Bradleys’ children still at home, and described as gardener. The Bradleys now continued to produce a succession of sons. George was born 9th June 1875 and baptised at St Barnabas on 11th August. After the Harvest Holiday of 1880 he was admitted to the school on 13th September. He gained a “very good” certificate in 1886 in the religious knowledge exams set by the Diocesan Inspectorate. He left school in July 1888, having reached Standard V. In the 1891 census he is described as farm boy, but by 1901, while visiting a platelayer James Chalcraft, he is a GPO Mail (not clear what the next word is, perhaps “sorter”). George and Mary Elizabeth subsequently lived at No 2 The Forts (Fort Cottages) eastwards along the road from Denbies, and the 1911 census shows George still working as a gardener. They had three daughters: Edith Jane, the first, married Walter Frederick Wills Dennis, baker’s roundsman, at Mickleham in 1932; the second daughter Ethel Lilian, baptised St Barnabas on 30th June 1912, died aged 2; the third daughter Elizabeth Mary was baptised St Barnabas on 30th January 1916. 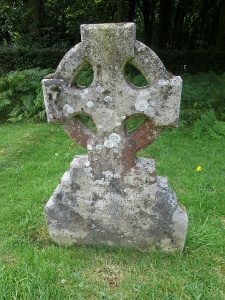 Sadly, her mother Mary Elizabeth had died a short time before and was buried on 22nd January in the churchyard (Grave L9). The infant Elizabeth Mary Bradley grew up to live at Ranmore Farm until on 3rd April 1958 aged 42 she was also buried at St Barnabas with her mother (L9). In 1927 the widowed George married Ellen Jane Douse, nee King, the widow of Harry Jeffry Douse, of Golden Ring Cottage, Ranmore Common. In 1929 George and Ellen are living at Westhumble in Old Laundry Cottage, Leladene, and six years later in Gardener’s Cottage, Camilla Lacey, possibly because George was working in the gardens there. Ellen died in 1937 and was buried next to her first husband but with an affectionate message from her second on her gravestone. George stayed on in Westhumble for a few more years, then lived at Warenne Road, Brockham until he died 1955, being buried in Ranmore churchyard apparently in his father’s grave (C4). Query: who is the George Bradley, described orally as a carter, “Someone’s sitting there” – the seating plan in St Barnabas of the 1950s? Probably not this George, as the occupation is wrong and the dates don’t really tie up. The next Bradley son was born 12 February 1878 and baptised Albert at St Barnabas on 10th April. On 31st May 1882, the same day as his cousin Alfred Bradley, he started at St Barnabas School “aged 4 years and three months”. He was awarded religious knowledge certificates in 1891 as result of the Diocesan Inspection, and reached Standard V before in October 1891 he left school “to go to work”. He is almost certainly the Albert Bradley born Dorking who worked in London as a stable keeper, and he was definitely a carman when he married Winifred Frances Allsworth Dennis, miller’s daughter, in Paddock Wood, Kent, on 15th October 1910. Albert and Winifred’s daughter Flora Winifred was born 2nd April 1913, and there were probably three sons, born after the war. On 18th January 1915 Albert Bradley of 14 Weedington Road, Kentish Town, London NW, motor lorry driver, enlisted in the Army Service Corps (Mechanical Transport), service number 034172. He was 5ft 3in, 126 pounds, fresh complexion, brown eyes and hair brown, medical category B II. (He also had flat feet, but not bad enough for him to be rejected! ) See They Also Served WW1. Albert saw service in the Mediterranean and Salonica. While he was away, Winifred moved to 13 St Paul’s Crescent, Camden Square, but on Albert’s discharge in 1919 their address was Mill Green, Hatfield, Herts. He may be the Albert Bradley of Oxford Cottage, Press Road, Willesden who died 7th January 1960. Ernest of the War Memorial fits in here in the family order, the last Bradley child who was born and baptised 1881 and died on 18th November 1916. See his page for more details of his life and death. 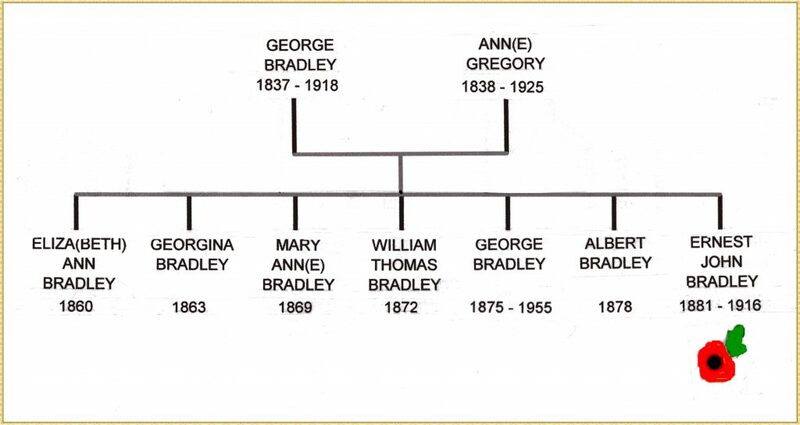 This is a composite list of the sources consulted for all members of Ernest Bradley’s family, including his uncle Benjamin Bradley and his family, but details for the individual family members are available if required. Virtually all of the sources mentioned can be viewed online via Ancestry, Find My Past and Free BMD.